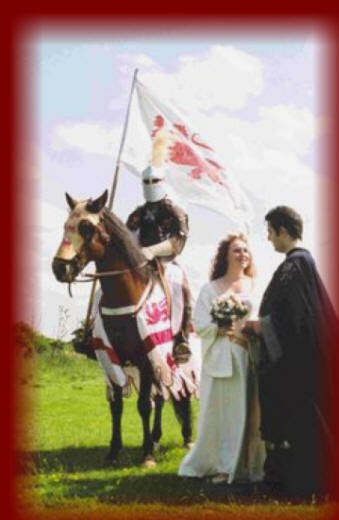 ir Steven had always had a dream of being a knight on his special wedding day. When Steve and Jane decided to marry they found Fantaysia on the internet like many other couples had been able to have the wedding day of their dreams. 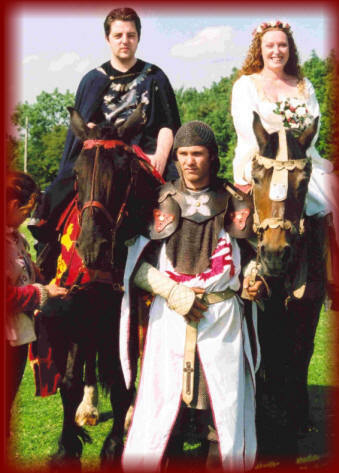 Steve and Jane only told their guests that they were getting married and it was in a marquee and in a field and dress medieval style. What a glorious surprise they had when they saw on that that sunny day when Sir Steven and Lady Jane rode in together on horse back to their awaiting guests who had walked into a full medieval camp with a medieval tavern and one of a Fantaysia's stunning medieval tents, the Royal stilt walker and with all medieval entertainers for their pleasure. have a wonderful day. 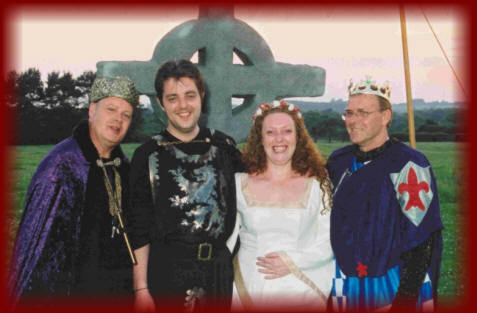 As they were seated on their top table in their medieval thrones they were indeed to be the centre of attention as they had always dreamed for their day. Knights dragged peasants before them for pilfering from the Royal kitchen and an evil knight was taken outside for a beating and a fight to the death for trying to insult the wedding party. 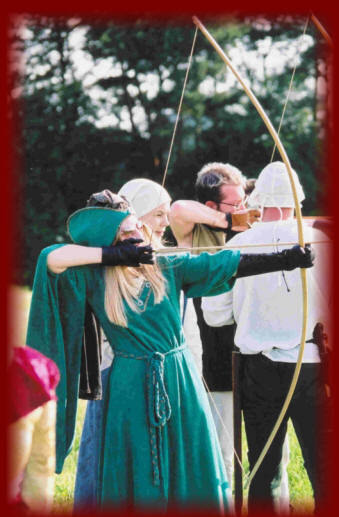 Much fun and merriment was had this day and as they tasted medieval ales and fruit wines from the Black Rat Tavern they then wandered by the camp fires to ponder on their special day.